Niagara Recycling is a non-profit social enterprise that sends its proceeds back to the community. Using funds generated from managing the recycling processing operations, Niagara Recycling provides financial support to non-profit agencies that are involved in providing opportunities and support for developmentally challenged adults. A regional weekend and summer respite program for children with special needs. In conjunction with the District School Board of Niagara, there is also an alternative education classroom offered for children between the ages of 6 and 13 with the diagnosis of Autism Spectrum Disorder. Specialized residential supports for individuals with complex needs. 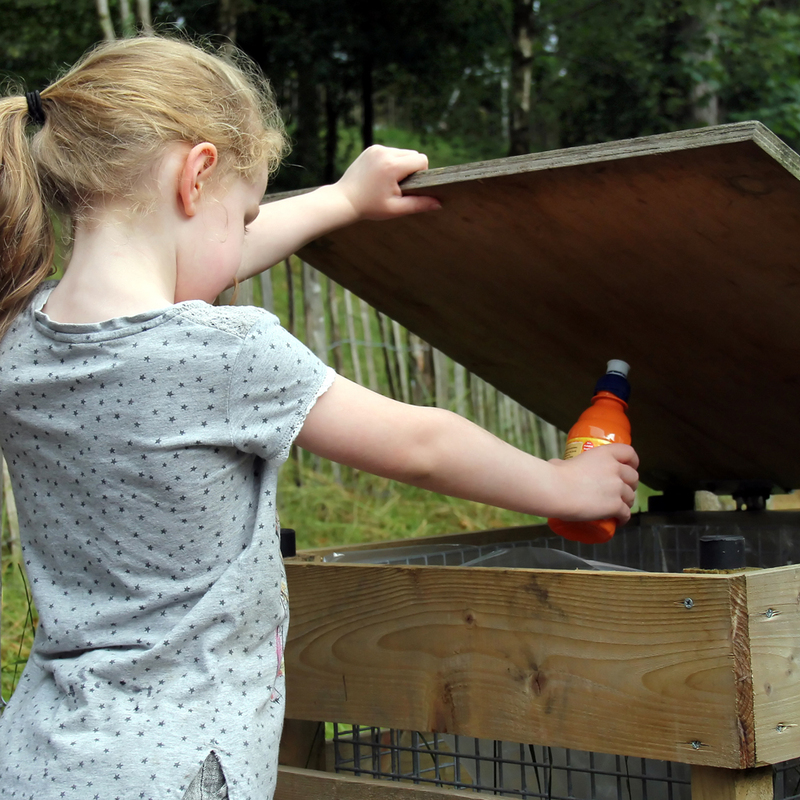 In 2013, Niagara Recycling began a funding a newly created after school respite program at the Donald L. Reilly Centre. This annual program operates 6 hours per day, Monday to Thursday, 32 weeks per year, providing respite support for families with children aged 5 to 18 with a variety of special needs, including medical, behavioural, autism and mental health diagnoses. Purchase of equipment for NTEC’s landscaping operations and the NTEC EcoGardens, a retail garden centre located at 120 Canby Rd in Port Robinson. Maintenance and capital improvements to housing projects owned by NTEC in Niagara Falls and Port Robinson. 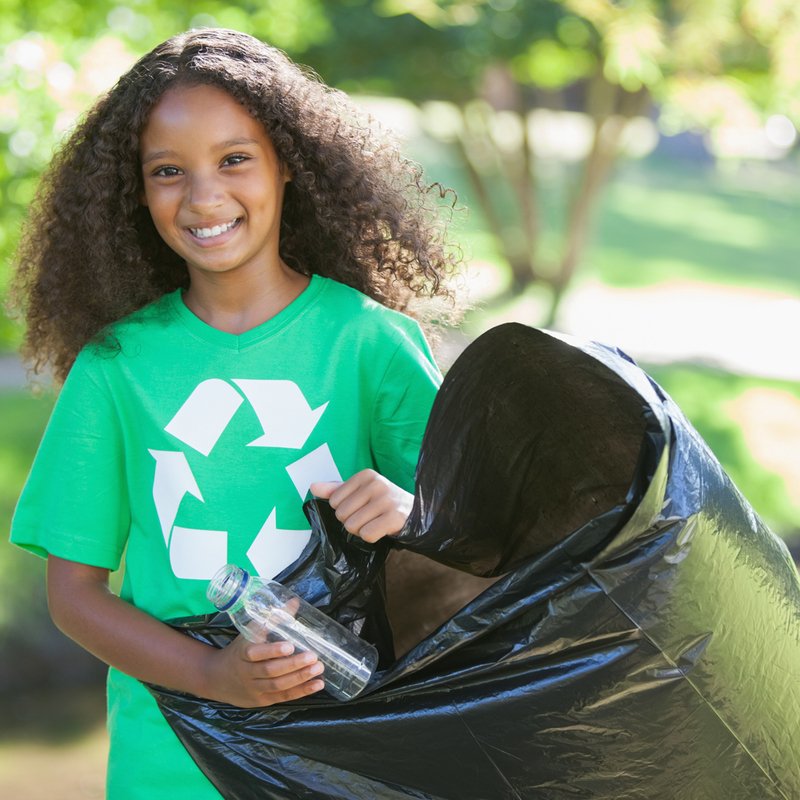 Niagara Recycling provides recycling collection and processing services to local school boards, and provides educational and informative tours of the recycling centre. The tours allow children to see the recycling sorting process in action and learn about what happens to the recyclables after leaving the facility. Since 1996, Niagara Recycling has donated funds to the annual Autism Spectrum Disorder summer movement camp held at Brock University – an award winning program and site for research, service learning and the theory of teaching. 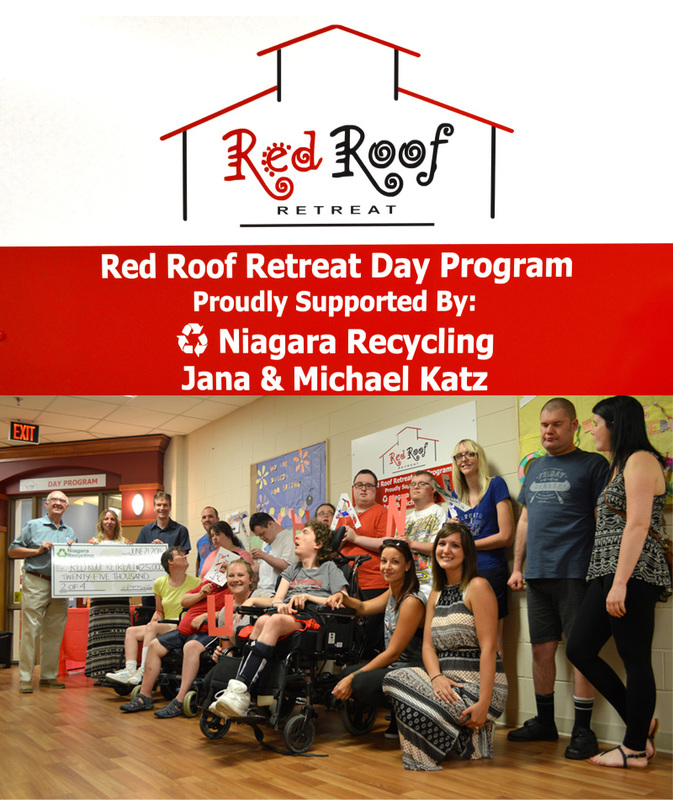 Niagara Recycling is proud to be supporting the Red Roof Retreat. This local organization provides quality respite and recreational programs for children, youth and young adults with special needs, and their families in the Niagara Region. Red Roof Retreat is a place where relationships and skills are developed, awareness is created and bonds are nurtured, through understanding and respect for each individual’s special needs. 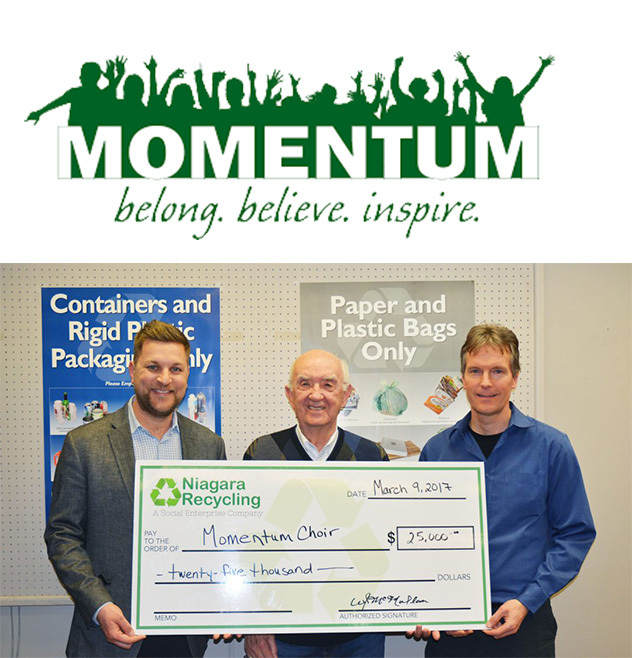 Niagara Recycling supports Momentum Choir, a highly disciplined, professionally facilitated performance choir based out of the Niagara Region. The choir consists entirely of musicians living with a disability. This great organization showcases and nurtures the musical talent of people with disabilities. It serves as an artistic channel, and empowers musicians with opportunities to showcase their abilities and communicate their love for music. Momentum has performed locally, provincially and internationally. It has also worked with over 80 different musicians, performed at 100 different events, spent over 1500 hours in rehearsals and performed for over 10,000 audience members. Book a class trip and tour our facility! Contact us to find out how.